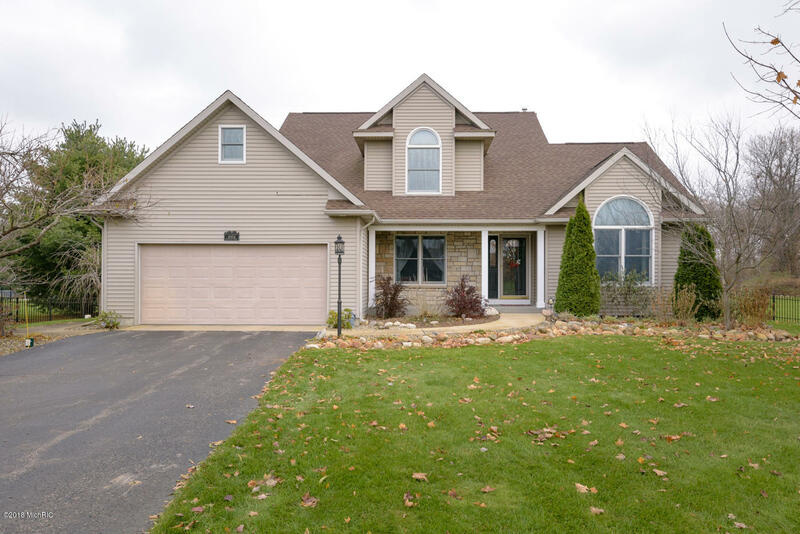 Located in Mattawan Schools on 1.6 acres, this absolutely beautiful 4 bedroom, 3.5 bath home offers 3400 finished square feet of living space. The two story great room features a gas log fireplace. The GR opens into the amazing kitchen with center island/sink, skylight, cherry cabinetry and tile floors. From the dining area you can access the 3 season porch that overlooks the back yard. FDR is perfect for those large family gatherings. The MBR suite is conveniently located on the main floor with whirlpool tub, shower, walk in closet and dual sink. Three spacious BR and a family bath completes the upper level. The finished LL offers a large FR and bar area with new tiger wood engineered hardwood floors, full bath, possible guest bedroom. 24 x 32 garage/pole barn with second floor.